As an enormous blaze engulfed Paris’ iconic Notre Dame Cathedral, US President Donald Trump suggested using aerial water tankers to extinguish the fire — an idea quickly shut down by French authorities. "So horrible to watch the massive fire at Notre Dame Cathedral in Paris. Perhaps flying water tankers could be used to put it out. Must act quickly!" Trump tweeted on Monday. But the French civil protection service quickly answered that it would not use aerial water tankers — usually used to extinguish wildfires — because the weight of the water could destroy the entire structure. 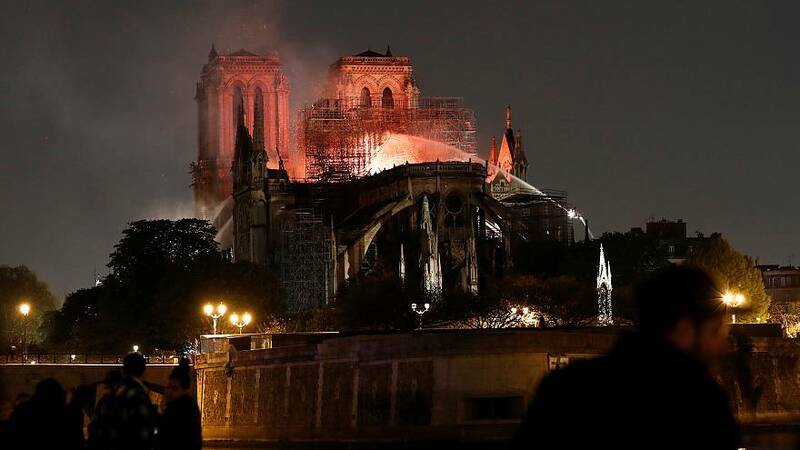 "Hundreds of firemen of the Paris Fire Brigade are doing everything they can to bring the terrible #NotreDame fire under control," said the civil protection service in an English tweet. The account tweeted four times against the idea of fighting the flames with aerial water canons. "All means are committed with the exception of the technically unsuitable Canadair aircraft for extinguishing this type of fire," said the first tweet. "The airdrop on this type of building could lead to the collapse of the entire structure," said a second tweet. In a third tweet, French authorities explained why airdrops could be counterproductive to saving the cathedral as "the weight of the water and the intensity of the drop at low altitude could indeed weaken the structure of Notre-Dame and cause collateral damage to the surrounding buildings," said the agency. The fire spread quickly through the gothic structure, which caused the spire and big parts of the roof to collapse. The cause for the blaze was not immediately known and an investigation was opened for accidental destruction by fire, said Paris prosecutors.